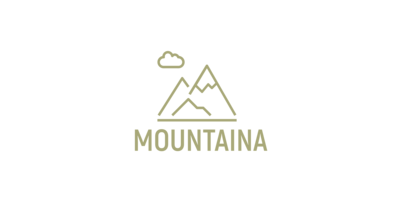 How To Create a Mountain Logo? Mountains are traditionally associated with spiritual growth and purification. Monks and hermits live high in the mountains for years to achieve enlightenment. Our ancestors believed that vertices were the home of powerful Gods, and therefore sacred places. The image of a mountain can be often seen on logos of resorts, recreation areas, and conservation parks. Take a look at the emblems used by Zermatt Matterhorn, Bukovel, and Chalet Shymbulak. Nature-related projects are not the only ones that choose a mountain to represent their brand. Synonymous with ambitious goals and perseverance, a mountain is a common choice among apparel brands, restaurants, and even film companies (think Paramount Pictures). If you’re using a mountain on your emblem, avoid placing any words or symbols above the mountain top. Remember that a mountain peak must be the highest point on your logo. The only items that will look organically in this context are stars and clouds. Mountains stand for all things elevated and ethereal. The best way to convey these qualities is to use cold hues, such as blue, violet, white and grey. Yellow and red may not be the best choice for a mountain emblem. Green, on the contrary, is a good option as it matches the sky, whether it’s clear or cloudy. Also, you can use a black contour to accentuate the shape of a mountain. 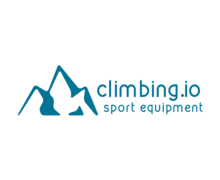 How do I create a mountain logo for my brand?